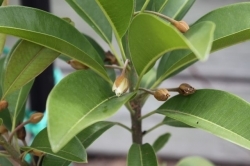 Flavour is very sweet like brown-sugar with a slightly gritty texture like a pear, contains several shiny, black seeds. Produces a heavy crop. 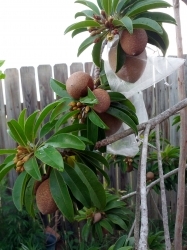 Sapodillas are tropical and require a frost free climate to thrive and grow well. 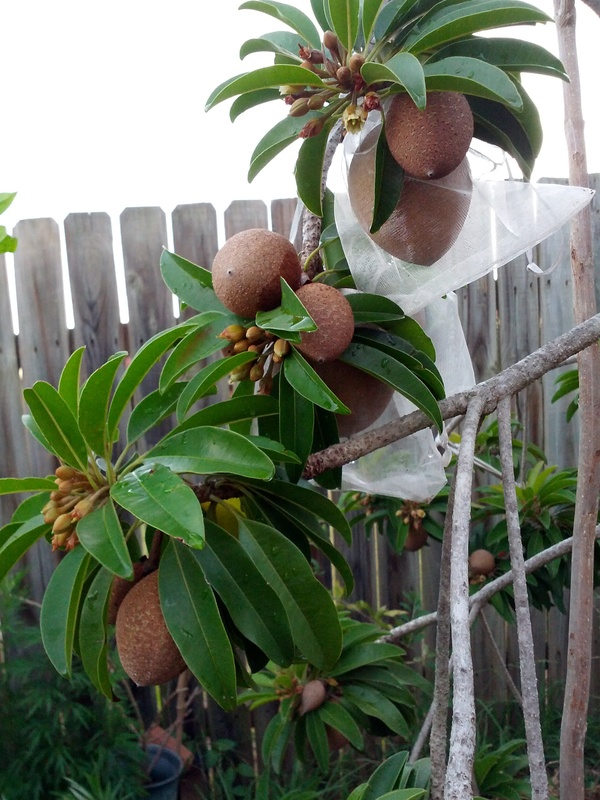 Frost will damage or kill sapodilla trees. If you wish to attempt growing one you will need to work out a way of protecting it from all frosts. 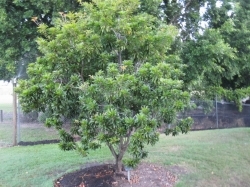 They are slow growing trees, especially when grow out of their native tropical range. it was flowering when we bought, and it flowers all year round for the past 5 years, but never set fruit. it doesn't need much care, the tree was splited into half just above the grafted point by a intruding cat 2 years ago. I thought it would died, but it survive well, and it has now recover. much more flowers this year. January 2014: This small tree sets so many fruits that almost break the branches. 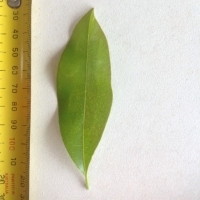 Fruits are very large. 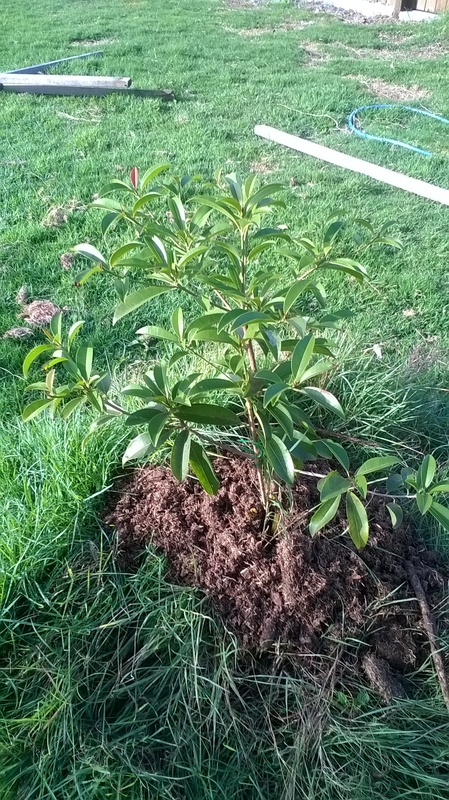 Comments: - May 2015: This was planted next to a BKD110 for cross pollination in late 2014. 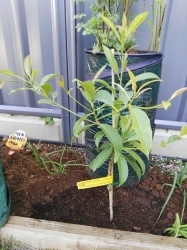 It is watered weekly, has been fertilised regularly and compost added a couple times. It is a slow growing and leggy plant but it appears to be solid and developing well. The BKD110 appears, at this stage, to be a more impressive plant. 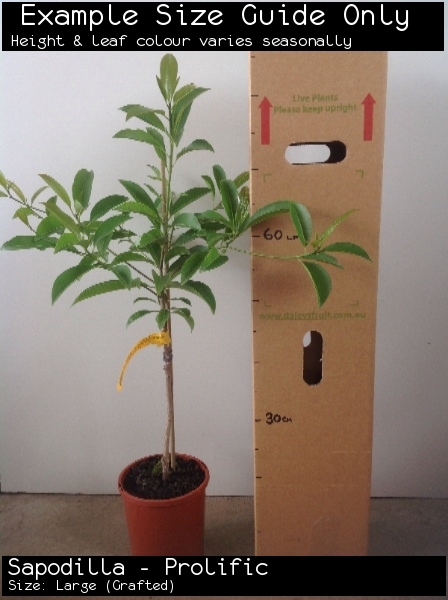 Still, quite happy with this purchase from Daley's and looking forward to fruit! Comments: - I like sapodillas. 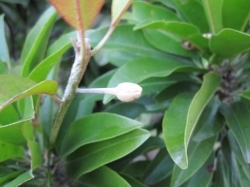 I have two planted in the same spot for better pollination - prolific and Sawo Manila. Quick growin and flowering within a few months of going in the ground. 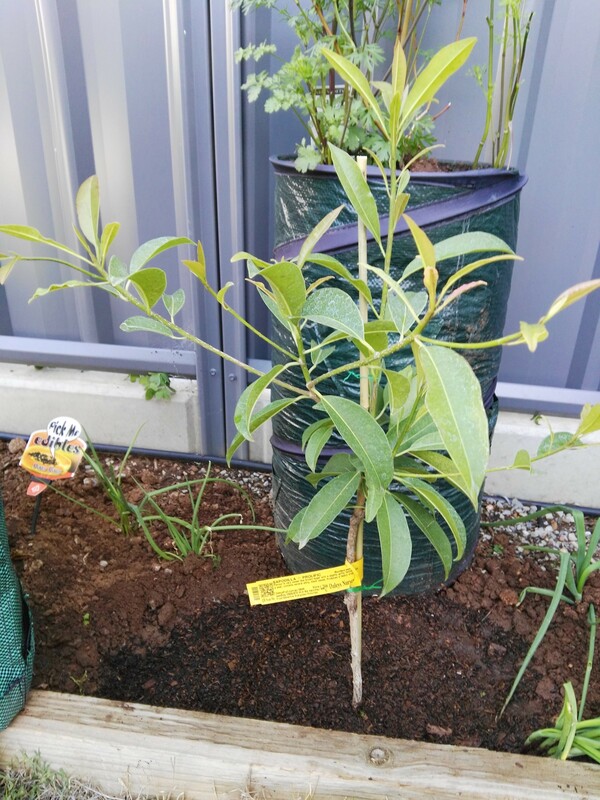 Prolific is a leggy grower, Sawo Manila is much more compact. Comments: - like sweet taste. great for juice..